Purple Bounty is a new winterhardy, early maturing hairy vetch variety developed for high nitrogen fixation (up to ½ of a subsequent crop’s nitrogen), increased biomass for a thicker mulch and earlier flowering for more flexibility in planting succeeding crops. Vetch forms ground cover slowly in the fall, but root development continues through the winter with substantial growth in the spring. 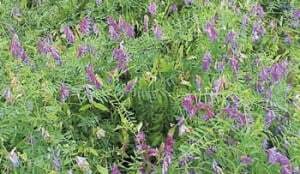 For maximum results, Purple Bounty should be in full bloom to allow for peak nitrogen contribution and to mow, roll or spray for maximum vetch kill. 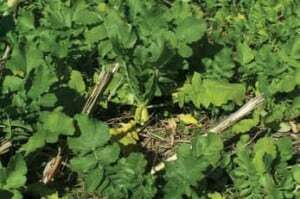 Spring oats or winter grains can also be planted with Purple Bounty to act as a protective cover for improved winter survival and increased erosion control.